We switch on our Christmas Lights this year on November 21st. Our afternoon of events starts at 3.00pm with the Radio Exe Roadshow, Santa on Stilts after 4.30pm and the big Switch On with Shelley Smith (X-Factor contestant) at 6.00pm ish - depending on weather etc. And don't forget our Grotto will be open if you want a chat with Santa himself! Come along for a fantastic time! Come along today and meet Santa in his Grotto. You can also see him in his sleigh with our reindeer and have your photograph taken with him! We will also have the fantastic majorettes! Come along and enjoy late night shopping - we will have entertainment to make your evening Christmassy! Our fantastic competition starts today. Pop along and find our 'Say Snow' scene in one of our windows, get your photo taken in front of it and post it on our facebook page for your chance to win! We will have 12 prizes on offer as well as a fantastic IPad! We have lovely stalls with great present ideas - and don't forget our Street Food to keep you going! Join us again for an evening of entertainment - meet our friendly magician and do a spot of shopping! Come and meet Santa's favourite pooches! Have your photo taken and learn all about them! 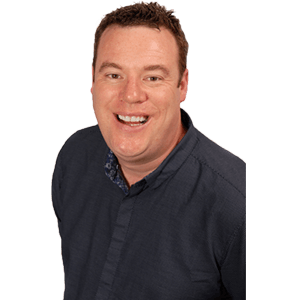 Also meet Ashley from Radio Exe on the Saturday- I am sure he wouldn't mind having his photo taken either! Another great evening to do your Christmas Shopping! Don't forget to visit our entertainers and stop for a coffee in one of our great cafes! Our market is still here until Christmas Eve. Another great evening to get those last minute pressies - check out our entertainment to make your evening even more Christmassy!